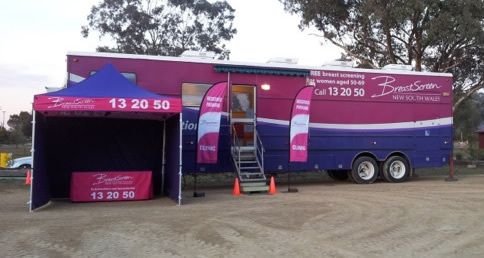 The Far West Local Health District stall will be providing ten-minute information sessions on a variety of topics over the two days to help people to Live Their Best Life and to stay healthy now and in the future. • Employment opportunities across all of the Far West communities. Each session will include time for a question and answer and if you wish to have a general discussion about the topic at hand with the presenter. There will be information and handouts available at the stall if you miss a session and want to know more! 11.00am Want a job in health - how you can get started? 12.00noon Kids Story time with Allied Health. 1.00pm Men’s Health - Make the most of your GP or what you should talk to your GP about. 3.00pm Women’s Health - It doesn’t stop. 3.30pm Slips, Trips and Falls - how to prevent them! 11.00am Women’s Health - It doesn’t stop. 2.00pm Want a job in health - how you can get started? 2.30pm Slips, Trips and Falls - how to prevent them! 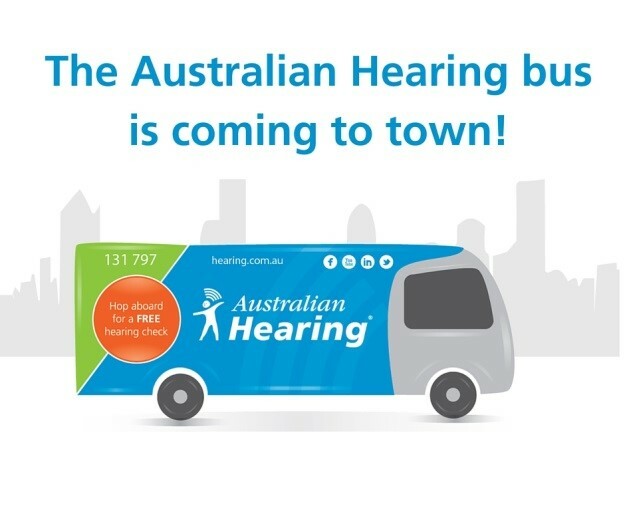 CALL 131 797 TO BE CONNECTED TO YOUR LOCAL AUSTRALIAN HEARING CENTRE OR VISIT WWW.HEARING.COM.AU TO FIND A CENTRE LOCATED NEAR YOU. Can’t hear? Ears feel blocked? Don’t like water syringing? The Mental Health and AoD team will be available for conversation on MH & AoD topics and will be providing the following interactive health promotion activities: therapeutic use of the labyrinth, beer goggles, marijuana goggles, standard drink examples and demonstration babies to address substance abuse education - prenatal information and infant safety. Promotional items and resources will also be available to take home. "Neami National is one of Australia’s largest and most innovative providers of community mental health services. We support people to improve their health, live independently and pursue a life based on their strengths and goals. Over 30 years, we have built partnerships with hospitals, clinical mental health services, nongovernment services and community health services, and today Neami’s 800+ staff support more than 8,000 individuals to achieve greater independence." Reducing stigma around mental health. The Far West Mental Health Recovery Centre will be at Agfair 2018 located in the Rotary Pavilion next to the food court. Come and have a look at our display and have a chat with our friendly staff. A private booth where you can speak with one of our fully trained Community Rehabilitation and Support Worker or our Suicide Prevention Officer. Strategies for living with and managing a mental illness. For more information call 08 8080 1365 or visit our website www.neaminational.org.au.